A few months a year, the Urban Abbey, a coffe shop/bookstore/Methodist Congregation partners with OTOC, IPL’s sister organization, as community partners. As community partners in June, OTOC receives 10% of the coffee bar sales in the month (drink up in June!) as well as hosts learning opportunities at the Abbey with IPL. 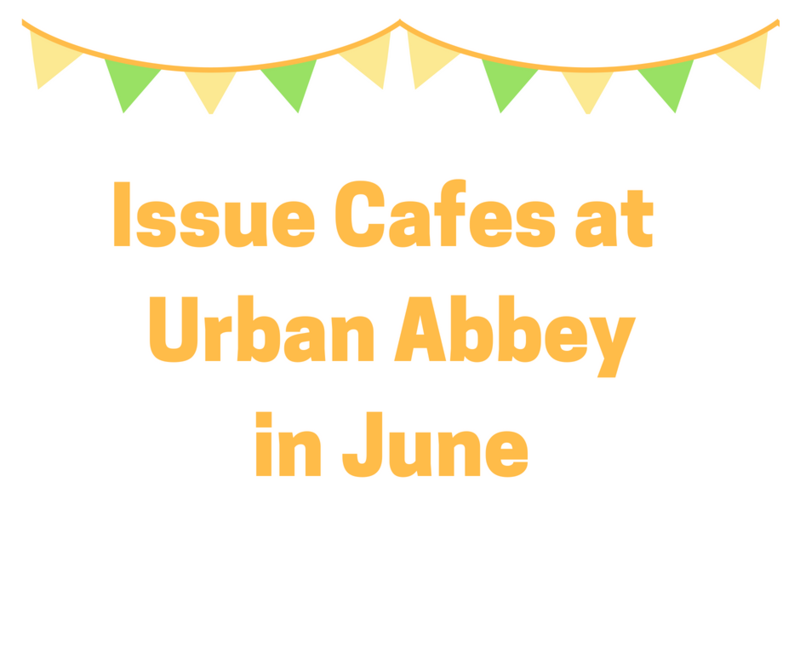 This June action teams are hosting four great Issue Cafes to learn more about some issues they are working on. Please join us at any and all of these events, and learn about issues affecting Omaha families. Join leaders to hear stories and statistics from housing experts about substandard rental housing in Omaha and what we can do to change that situation together. Learn what LaVista and other cities are doing to make sure rental housing meets basic safety codes. Join leaders to learn about why Nebraska needs to expand Medicaid, the current petition drive, and how you can get involved today to help give all Nebraskans opportunities for affordable health insurance. The Payday Lending Action Team will sponsor a presentation by Jerry Byers of Community Debt Solutions about an experimental, non-profit alternative to payday lenders that would offer short-term, small-principal loans to borrowers with limited access to credit. Join environmental sustainability leaders to hear from Omaha City Council members Ben Gray and Pete Festersen about the Ban the Bag ordinance being introducing that would ban plastic grocery bags in the city of Omaha.